The Canadian edition is identical to this single. Loving The Alien (Radio Edit)/Loving The Alien (Original Club Mix). 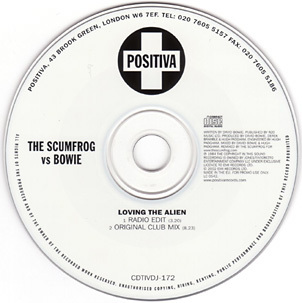 Loving The Alien (Radio Edit)/Loving The Alien/8 Days, 7 Hours (by Scumfrog).